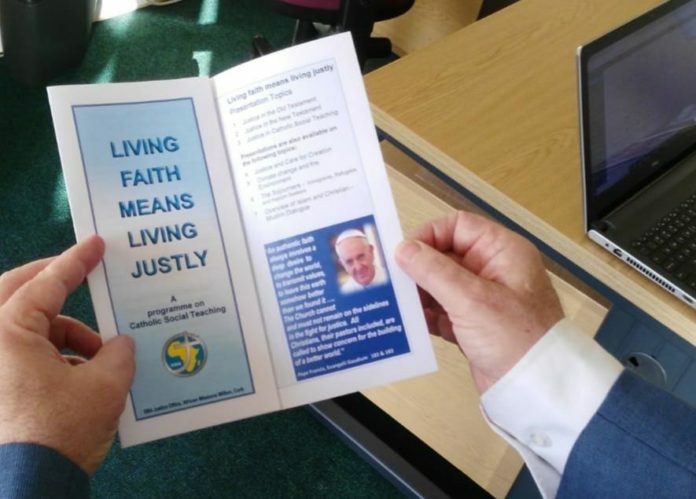 On the occasion of SMA Foundation Day, 8th of December 2018, we are happy to announce the publication of the Living Faith Means Living Justly Programme. The programme consists of five films designed as an introductory programme for those interested in promoting the work of Justice and Peace as outlined in Catholic Social Teaching. The programme was developed over three years by Bishop Patrick Harrington SMA and Gerry Forde, the SMA Justice Officer. Having been delivered in many locations and parishes throughout Ireland it was decided to film the presentations in order to make them more widely available. This was done with the help of Mr. Paul O’Flynn, a member of the SMA Communications Committee and a former RTE film editor and cameraman. To access the Living Faith Means Living Justly Programme, please click here.